Spanish wind turbine giant Siemens Gamesa Renewable Energy is in final talks to supply its 10 megawatt offshore wind turbines to the four offshore wind farms being built in the Hollandse Kust Zuid Wind Farm Zone which, upon completion, could have over 1,400 megawatts worth of capacity. Located 22 kilometers off the west coast of the Netherlands and with a maximum capacity of 750 MW, Hollandse Kust Zuid 1 & 2 is expected to generate enough power enough for the equivalent of up to 1.5 million households. Offshore works have already begun and construction must be completed in 2023. “This news shows zero-subsidy bids are possible for some developers in some markets not least where Governments take on and manage a share of the project risk,” said Giles Dickson, CEO of the European wind energy trade body WindEurope, in 2018. “In this instance the Dutch Government taking care of the grid connection is a significant factor. Plus the Dutch Government has successfully minimised the risk linked to offshore wind by giving clear visibility about future market volumes. And the new Dutch Government has committed to bring in a carbon floor price at national level which will help the business case for offshore wind. On top of the contract for Hollandse Kust Zuid 1 & 2, Siemens Gamesa and Vattenfall are also looking to sign a supply contract for Hollandse Kust Zuid 3 & 4, if Vattenfall is successful in the tender. “We look very much forward to increasing our collaboration and teamwork with Vattenfall through these projects. 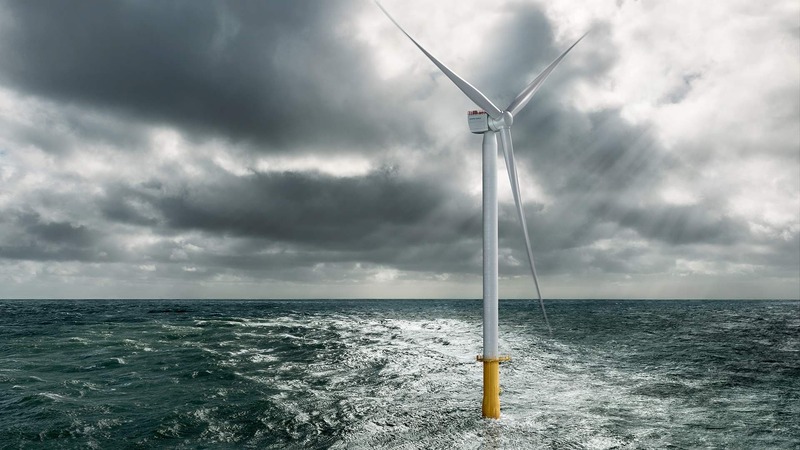 Vattenfall once again demonstrates their confidence and interest in our products,” said Andreas Nauen, CEO of the Siemens Gamesa Offshore Business Unit. However, competition is strong for this project, and Danish offshore wind giant Ørsted announced last month that it had already made a Final Investment Decision to proceed with the development of the project if it were to be awarded the contract by the Dutch Government. Regardless of which developer wins the contract for Hollandse Kust Zuid 3 & 4, it would not be surprising to see Siemens Gamesa’s new SG 10.0-193 DD offshore wind turbines used. Unveiled earlier this year, the SG 10.0-193 DD offers 30% more annual energy production than its predecessors, the SG 8.0-167 DD (an 8 MW turbine), and measures in with a rotor diameter of 193 meters and blades measuring in at 94 meters.